In Mandarin, “flavor” is pronounced “way,” so we’ve decided to call authentic Taiwanese flavors the “Taiwan Way.” Up to now, it has defied definition but efforts are afoot to give it a clear identity and have it resonate around the world. What exactly is authentic Taiwan cuisine, the true “Taiwan Way”? It’s a question that’s both simple yet complicated, straightforward yet baffling. Among Taiwanese, it may evoke the delectable stewed pork of home or the irresistible braised fish of Lunar New Year’s Eve feasts. Everyone has a “Taiwan flavor” that comforts them and makes them feel happy, born of experience and emotion. For people from abroad or of different backgrounds or generations, answers vary widely and lack the clarity with which people might identify Japanese, Korean or Thai cuisine. Korean food? Easy, think kimchi. Japanese food? What else but sushi or the refined, multi-course “kaiseki.” Thai food? Tom yam kung (spicy and sour shrimp soup), of course. These dishes immediately evoke a national “flavor” with a clear story. So what about Taiwan? Though many agree Taiwan’s cuisine has a sweet, charming aroma, it has no single symbol and almost defies definition. It may be time to change that. Taiwan may be a small island, but it features a rich and unique geography and world-class agricultural and aquacultural techniques. Combine that with the amazing diversity of flavors brought by waves of immigrants, and the time has come for Taiwanese food to shine. Yet for that to happen, the country’s commercial systems and skills need to improve. Every historical thread, every local custom, are like pearls that have been strung together into a colorful Taiwanese culinary tapestry and put on display for the world, which is why the island’s local ingredients stand out as one of its main competitive strengths. A New York Times article in mid-February titled “In Taipei, Restaurants That Harness the Bounty of Taiwan” underscored possibilities in Taiwan for farm-to-table dining that simply do not exist in culinary powerhouses Hong Kong and Singapore. The foundation for this, the article said, are Taiwan’s clean waters, mountains and fertile plains, its more than 20 microclimates, and its deeply embedded small farming tradition. The densely packed blend of mountains, hills, plains, valleys and basins on this 36,000-square-kilometer island with elevations of up to 4,000 meters has spawned a natural bounty that ranges from vegetables and teas grown in the mountains to rice grown in low-lying plains. Rivers crisscross Taiwan, and seas get deep just 400 to 500 meters off its coasts. 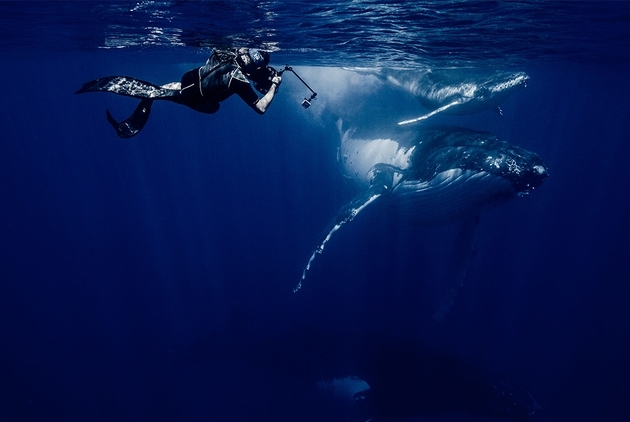 The warm Kuroshio Current that flows parallel to Taiwan’s eastern coast teems with migratory fish, while the continental shelf in the Taiwan Strait to the island’s west is rich with nutrients washed off from land that support bottom-feeding marine life. The fusion of a subtropical climate and an expansive range of elevations has helped establish Taiwan as a “fruit kingdom” renowned for both tropical and temperate climate fruits, from mangoes and bananas to peaches. The intersection of Taiwan’s complicated history and geographical location has also played a role in enriching the island’s food culture. Dutch missionaries brought cabbage seeds to Taiwan and the Dutch also brought wax apples and sugar apples from Indonesia when they colonized Taiwan in the mid-17th century. Cherry tomatoes from Europe first went to the Philippines and were then brought to Taiwan by ethnic Chinese. Add to that Taiwan’s own prowess in crop improvement technology, and you get conditions clearly ripe for the creation of a treasure trove of local ingredients. A second competitive strength of the “Taiwan Way” is the tolerance and inclusiveness of Taiwanese society. 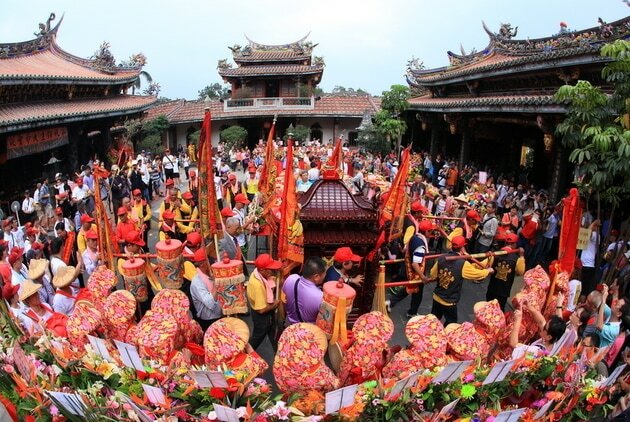 Taiwan has been colonized by the Dutch and the Japanese, received waves of Fujian, Hoklo, and Hakka immigrants from southern China since the 17th century and saw the arrival of another 2 million Chinese in 1949. More recently, a flood of “new immigrants” from Southeast Asia and China have settled in Taiwan. The flavors and tastes brought by those outside settlers along with those of Taiwan’s indigenous peoples have shaped and reshaped the island’s culinary traditions. When Taiwanese hold a banquet, the appetizer will often be a typically Japanese arrangement of sashimi or dried fish and leeks dipped in Japanese soy sauce. Next comes the real Taiwanese cuisine. Legend has it that the ubiquitous beef noodles Taiwan is famous for got their start when veterans from Sichuan province living in Kaohsiung elevated the Chengdu snack and added fermented bean paste made in the Gangshan suburb of this southern city. The Chinese restaurants of five-star hotels often feature new-style Cantonese fare prepared by chefs from Hong Kong. This wondrous never-ending fusion “is like martial arts training. In the end you don’t know what specific school of martial arts you belong to,” jokes Hsu Cheng-chi, the founder of the Pasadena International Group, a restaurant group. Though all this may seem chaotic, Taiwan’s cuisine is rich in possibilities and provides a fertile ground for the imagination. Street Food: The Real Taiwan ‘Way’? Yet, while Taiwan’s culinary diversity may be a strength it is also a weakness because of the difficulty in identifying and defining what the authentic “Taiwan Way” is. “The Taiwan ‘Way’ was always destined to be ill-defined,” says well-known gourmet and food and travel author Yeh Yi-lan. She says that because Taiwan, like Australia and New Zealand, is a new world country with only a short history, and its main food influences have been brought in by immigrants, redefining Taiwan’s culinary essence will take time. Compounding the problem is that the island’s many colonizers have often tried to expunge the cultural heritage of the previous regime, making it hard for a collective food tradition to build and evolve into a refined cuisine. Taiwan may have to develop its own flavor system and re-examine long underestimated cultural treasures to overcome these disadvantages, but that will not be easy. 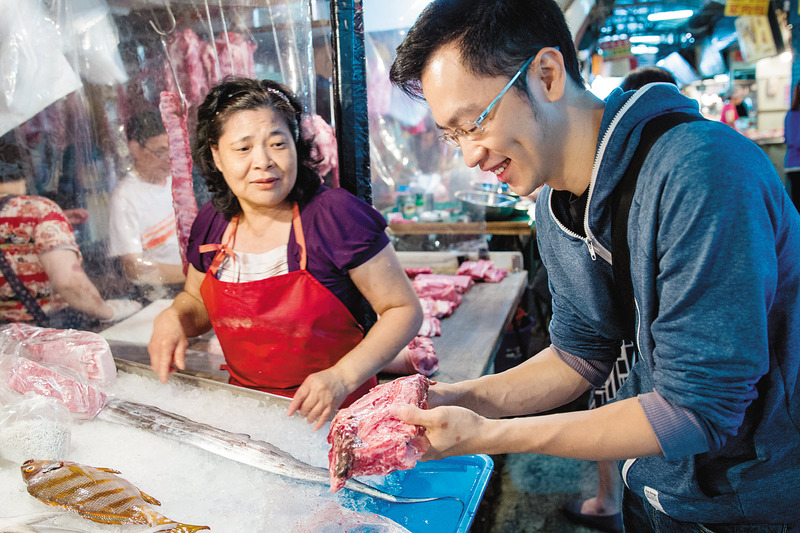 Food culture expert Andy Chou observes that Taiwanese are willing to think about how to make their food tastier or what flavor to add to elevate a dish, but they won’t contemplate why they are doing something a certain way and the meaning behind it. Tua’s chef Mark Huang (right) and founder Calvin Chen visit markets every day and love to travel around Taiwan searching for ingredients. They use those ingredients and cooking techniques to elevate common Taiwanese dishes. Lanshu Chen, executive chef of Taichung restaurant Le Moût, who was voted Asia’s best female chef in 2014, began about two years ago to compare, analyze and develop a profile for Taiwan’s flavors through the foreign dishes she was familiar with. She applied the method used for deconstructing French food – isolating the three main elements of customs, cooking techniques and flavors – to deconstruct Taiwanese food. Chen discovered that Taiwanese cuisine had distinct characteristics, such as the common use of garlic, and that it favored specific cooking techniques, such as stir frying and quick boiling (to make light soups), which may have resulted from the freshness of ingredients available and the influence of Fujian cuisine. She also observed that pickled vegetables are widely used, not just as side dishes but as ingredients in main courses. Another of her findings was that Taiwan has never taken its own cuisine seriously enough to study it or systematically analyze and discuss it, leading her to raise a host of questions. “Is Taiwanese food street food? What are the flavors in Taiwanese street food? Can the street food found in Taiwan today truly represent Taiwan? Are these flavors original flavors? Or are they seemingly familiar flavors that were created through artificial additives?” she asks. To Chen, searching for Taiwan’s true flavors is tantamount to searching for her own roots. It’s about figuring out how to be herself in the face of foreign influences so that a clear foundation exists on which she can make her food even better. 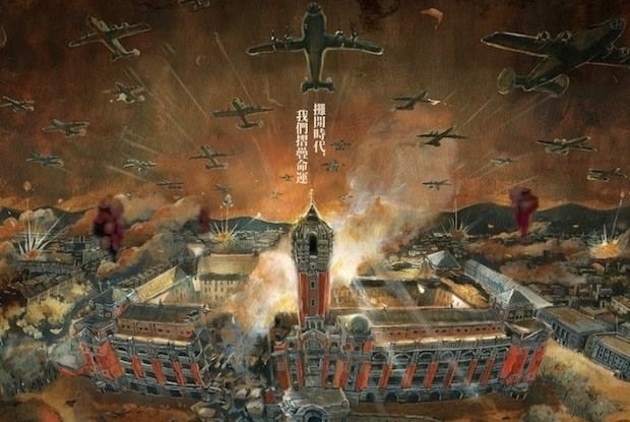 Yeh Yi-lan sees that as the direction Taiwan must follow. “At least in cooking, only when the past and the present are connected together can we truly know who we are and what we are eating. Once we know that, we can become truly anchored to this land,” she says. Another reason Taiwanese cuisine has been so hard to pin down has been the fusion brought by globalization and industrialization. Yang Chao-chin, the dean of the School of Culinary Arts at National Kaohsiung University of Hospitality and Tourism, says that when a “Taiwan Way,” a “Taiwanese culinary consciousness,” started to emerge, globalization swarmed in to overwhelm it. “The dinner table at home has disappeared. Flavors are normally nurtured at home, but people aren’t cooking and eating in anymore,” Yang says. 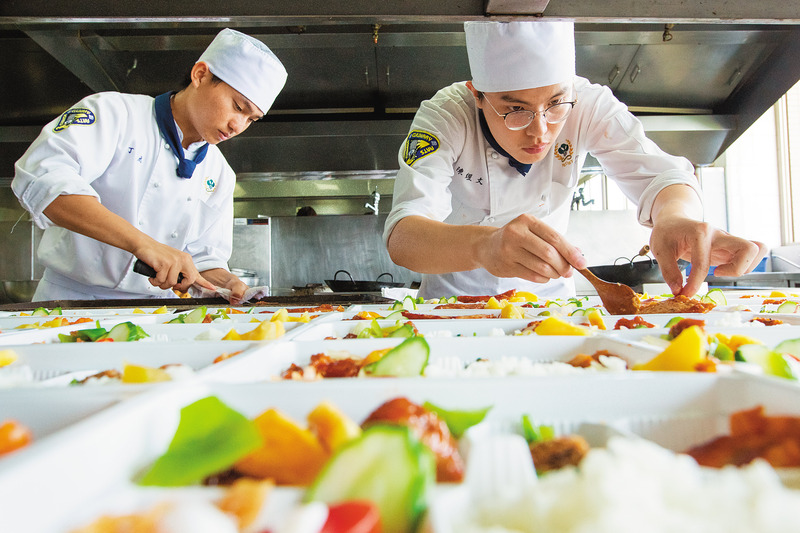 Students taught byYang Chao-chin at National Kaohsiung University of Hospitality and Tourism are required to check the cultural backgrounds of the foods they learn to make. More and more, modern-day taste buds are being defined by take-out food, often from foreign fast-food chains, or by foods mass-produced through industrial processes. Mixed fruit drinks scented with artificial flavors, genetically modified corn, and chicken shot up with growth agents and antibiotics are all mass-produced foods that are dragging consumers farther and farther away from authentic flavors and ingredients. Soac Liu, a young chef who has won a Golden Bell Award (the Taiwanese version of the Emmys) for best host of a variety show, got his start in the business with Western food. On many of his overseas travels, he has worked as a cook to pay for his lodging or cooked at youth hostels to make friends with other guests, but he came to realize that he had no idea how to talk about Taiwanese food. “I can identify without any problem the age of a wine vinegar, where it was made and its grade. But like many people my age, I have no idea how to tell between the most basic sauces used in my own country. Since when did Taiwanese cuisine become so marginalized in the food world?” Liu said on Taiwan Tongue, a website he founded. He is hoping to get more people into cooking so that they immerse themselves in food quality and culture. “You have to be able to make this dish to get a feel for it and have the ability to judge and select ingredients. That doesn’t come from just being fed,” he said. In this process of exploring its cuisine, Taiwan also needs to create a narrative offering higher perceived value and showcase its flavors more imaginatively. Overseas, Taiwanese food is synonymous right now with street snacks and comfort food. One of the challenges in trying to change that is the shadow cast by the emphasis on keeping prices low in the market. Long gone are the days when people simply wanted to satisfy their basic needs and survive, so it makes little sense for businesses to undercut others to rack up sales or focus on cheap treats to deliver perceived value. 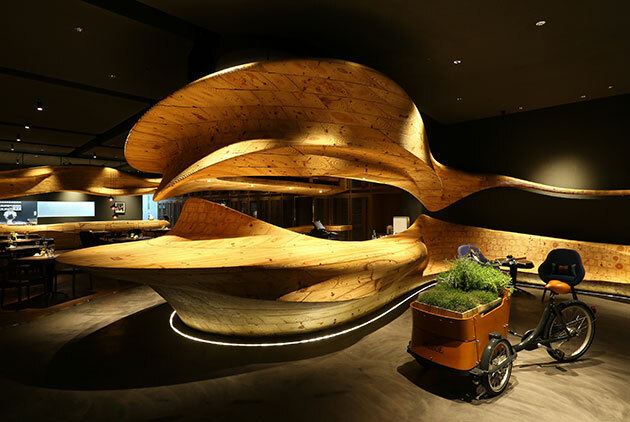 Tua, founded by restaurateur Calvin Chen, may showcase Taiwanese cuisine, but does so with a twist to deliver a different kind of value. Braised pork with rice, one of Taiwan’s most popular comfort foods, is typically made with ground pork, minced pork and pork belly, but Tua uses pork neck, tender pork jowl and either pork skin or pork tendons that it either chops or leaves in chunks and stews for a long time. 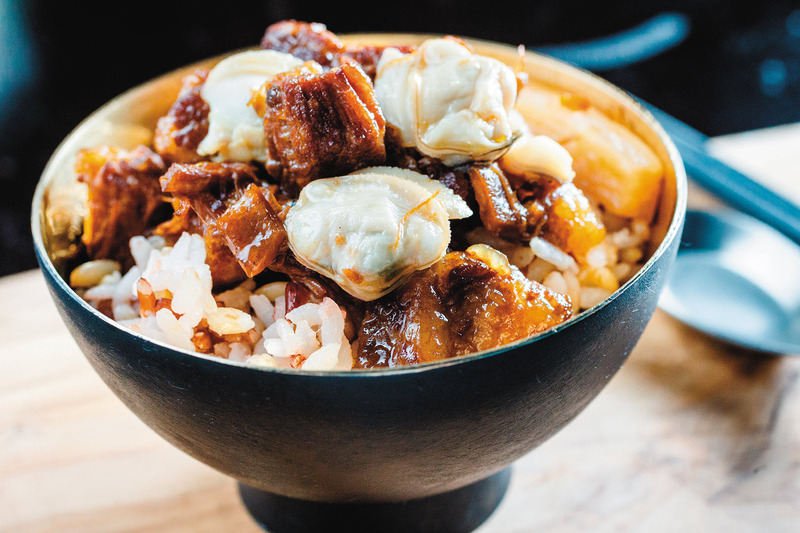 The pork just melts in the mouth, and the addition of clam meat gives the dish an extra sparkle, but it costs NT$100 per bowl, two to three times what it sells for on the street. Well-known pork rice shops have even faced strong backlashes from the media and customers when they have tried to raise their prices by even a few Taiwan dollars, and we asked if the restaurant was really able to sell its fancy version of the dish at the higher price. Pasadena International Group founder Hsu Cheng-chi (first from left) and R&D chef Tsai Chung-ho (second from left) visit a quinoa farm in Kaohsiung, one of many farms they’ve visited in recent years looking for good farmers. 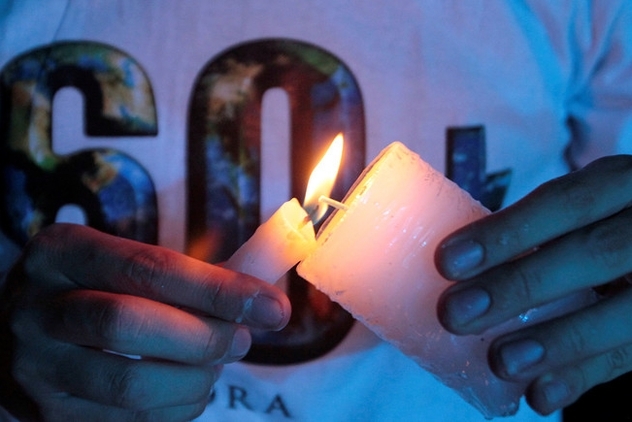 “I don’t think it’s true that you can’t sell things at higher prices in Taiwan. Taiwan’s home-grown ingredients are pretty good, but many Taiwanese may not be willing to change the way they think. But there are many things that can really be elevated with only slight changes,” says Tua’s head chef, Mark Huang. Tua’s founder contends that the ingredients and cooking techniques used to make Taiwan’s traditional foods have inherent value and should be taken seriously, respected and valued. You don’t need to use American Wagyu beef to sell a bowl of beef noodles for a high price, Chen says, and savory rice pudding should be worth more than the market price when made with care from real rice rather than from cheap instant rice powder. So why is it that Taiwanese fried noodles don’t sell for nearly as much as spaghetti, and how can the ice cream sold by local ice cream trucks reach the level of Haagen-Dazs? “I think everybody should join hands on this and turn this into a ‘fashion,’” Chen says. Yeh Yi-lan, the food author, believes Taiwanese foods have trouble commanding high prices because of “a lack of collective imagination and effort.” If Taiwanese food is always thought of as street or comfort food, or businesses continue to pitch stir-fried dishes for NT$99, then it’s hard to see any other possibilities emerging, she argues. To address that problem, more education and the passing down of knowledge are needed to expand the collective imagination toward food. For the past eight years, Pasadena founder Hsu and his team have brought food and taste education to elementary schools. More recently, he has taken his chefs around Taiwan looking for conscientious farmers eager to grow good ingredients and preserve their craft. Those trips have resulted in a map of Taiwan ingredients that Hsu hopes will allow people to experience authentic local flavors and appreciate the hard work that goes into good foods. Chef Lanshu Chen is also planning to visit schools and teach children, for example, what a pudding made from natural ingredients will taste like. As a member of the Relais & Châteaux collection of individually owned and operated luxury hotels and restaurants, she has noticed that the topic of greatest concern to many family restaurants with generations of chefs is how to pass down knowledge, and it has made her think about the question. In some cases, for example, children’s tastes are often developed over time, and Chen has begun to contemplate the possibilities. “If the bread moms feed their children no longer uses bread improvers or chemical flavors, it would be the beginning of a new generation,” Chen says. 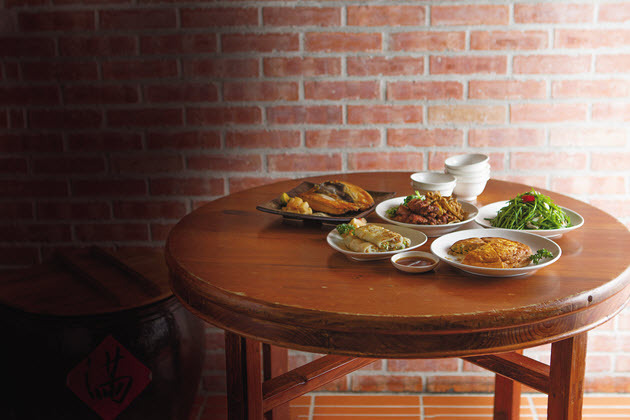 Such new generations may be needed to discover or even rediscover Taiwan’s authentic flavors.